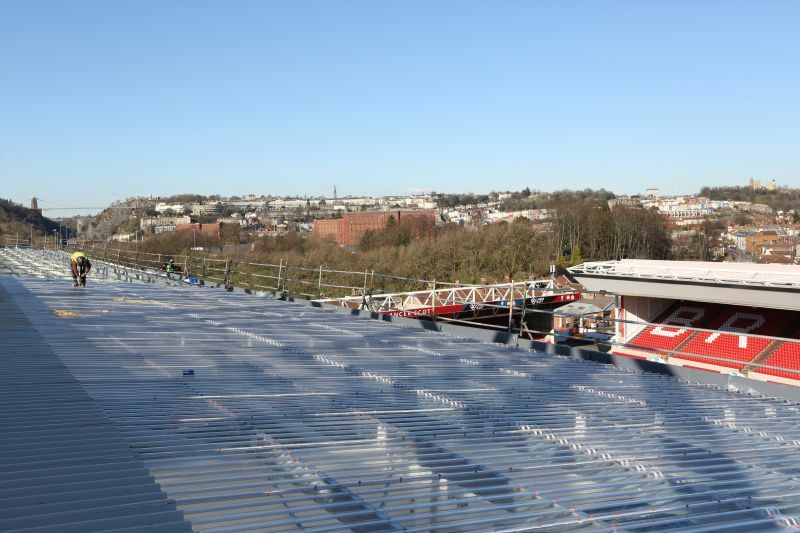 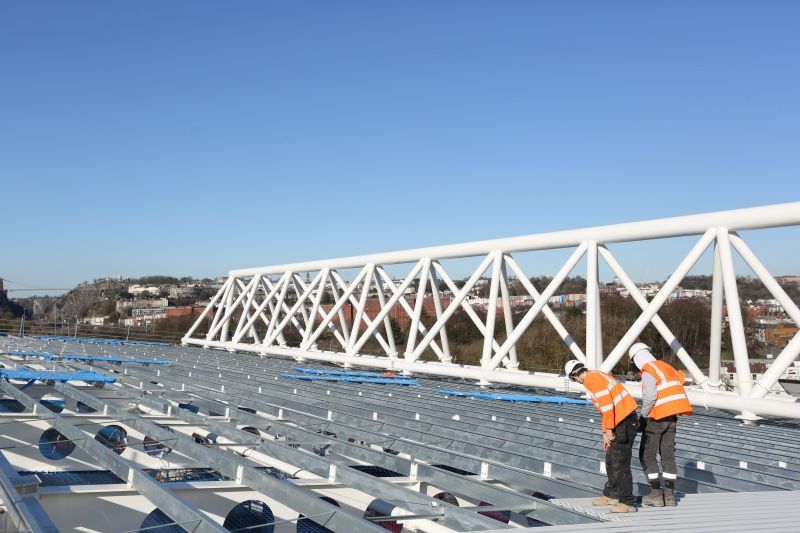 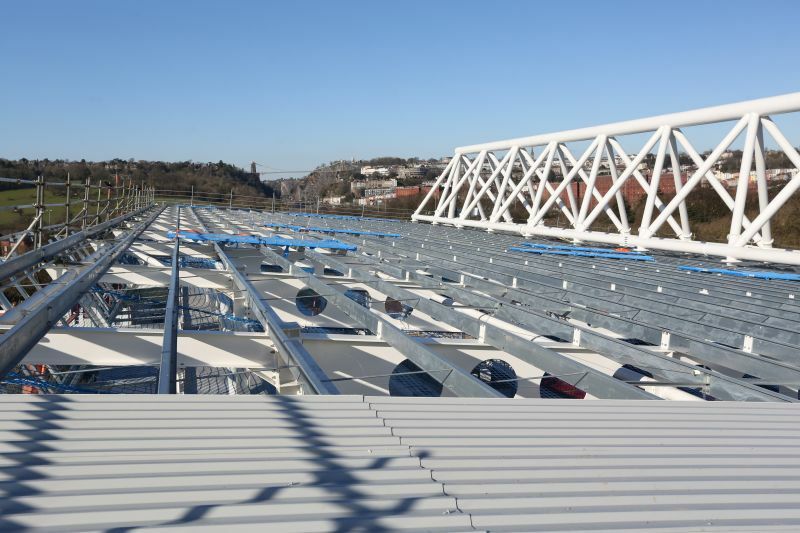 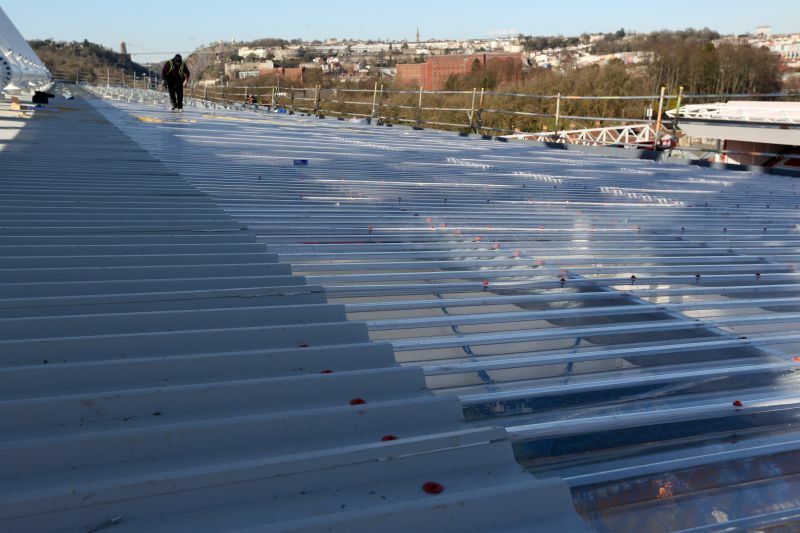 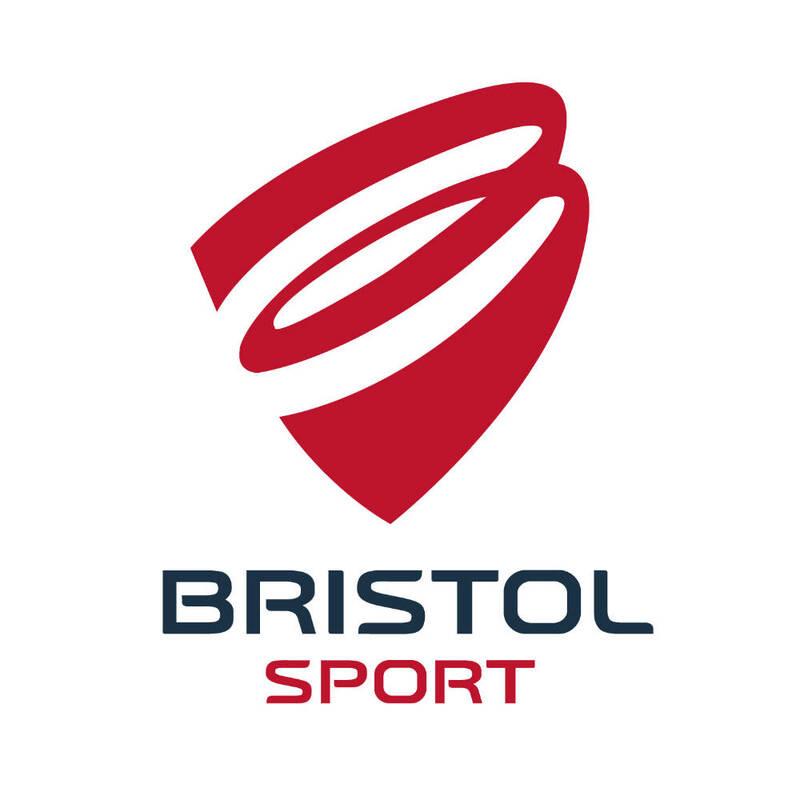 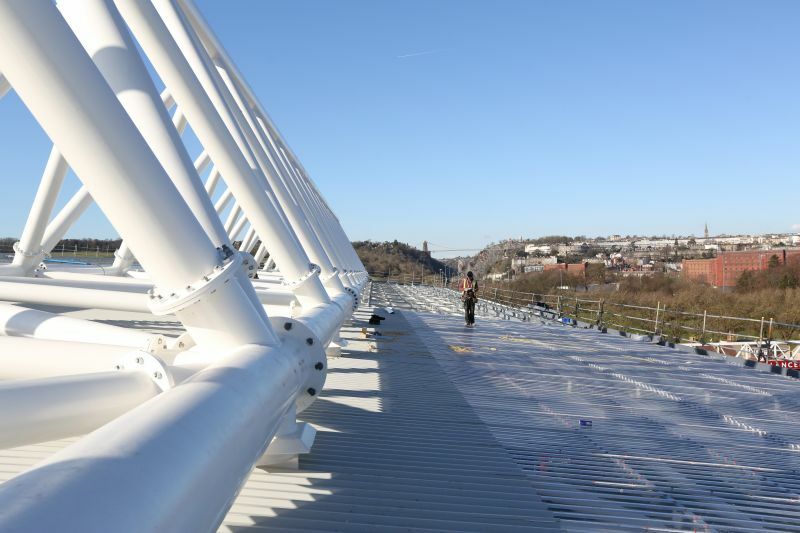 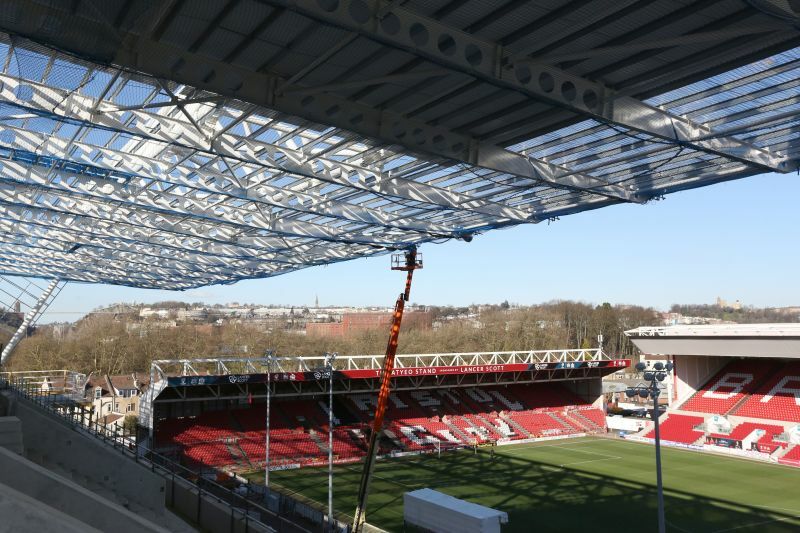 Redevelopment of a Bristol landmark for Bristol Sport working with McLaughlin & Harvey. 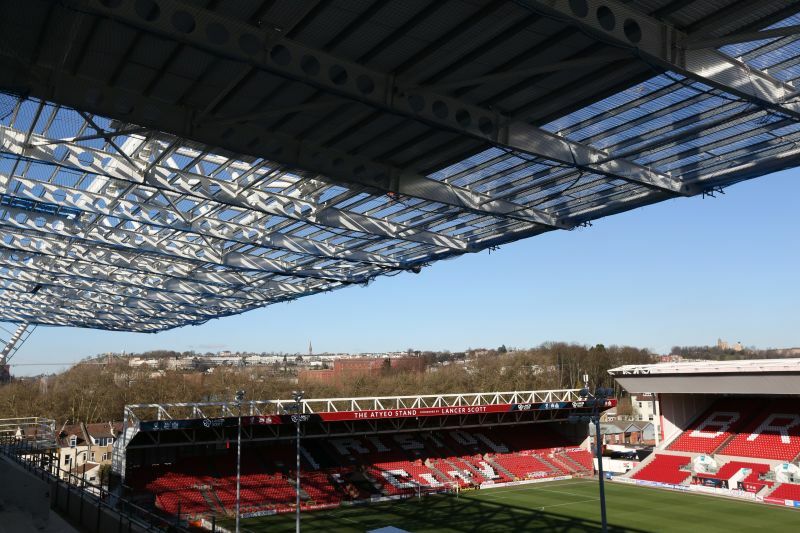 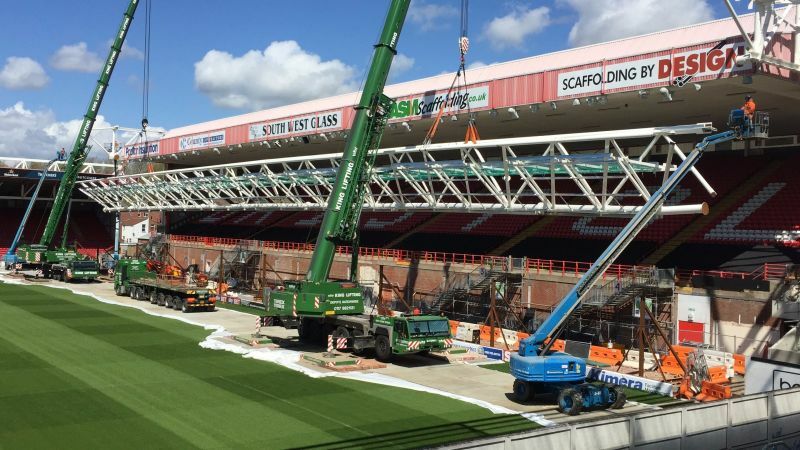 The redevelopment of Bristol City Football Club is being undertaken in three phases and will cost around £45 million pounds. 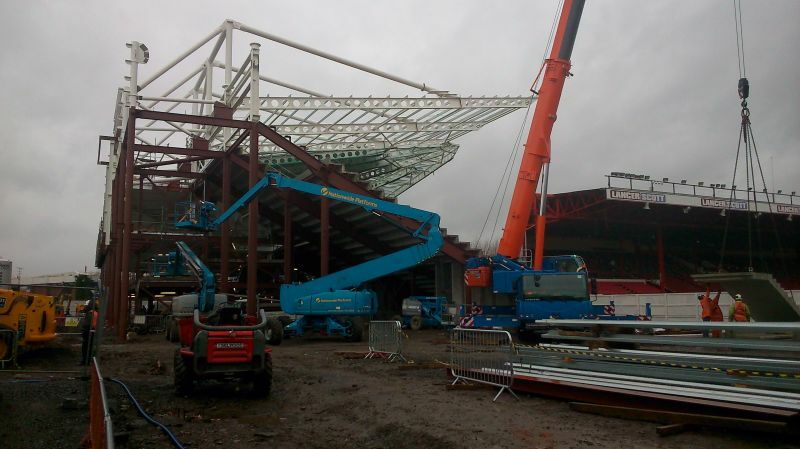 Phase 1 was the demolition and total re-build of the Wedlock stand. 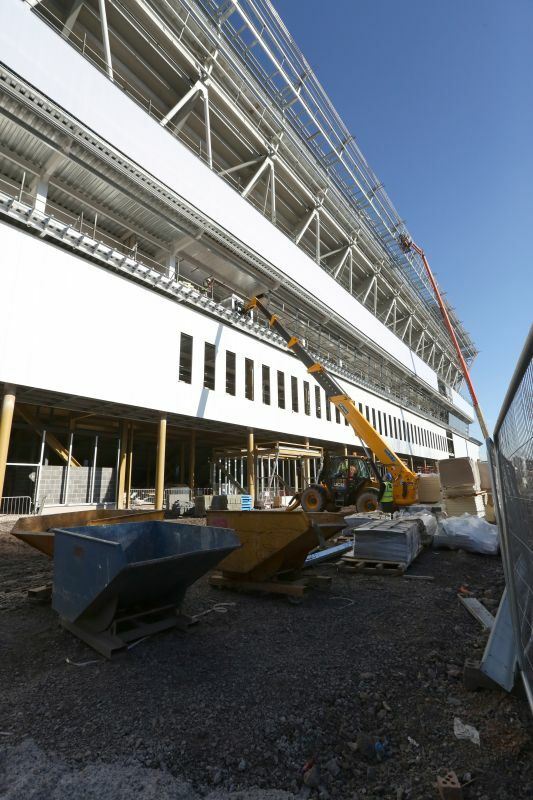 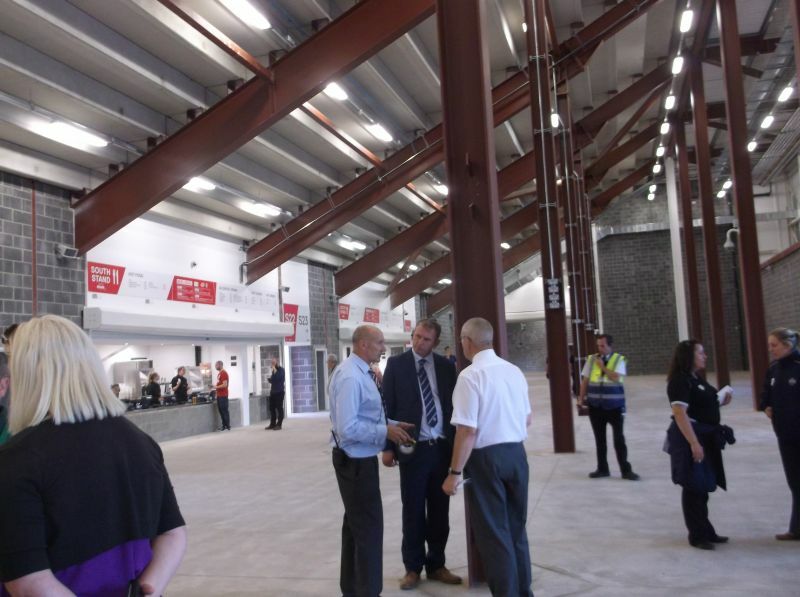 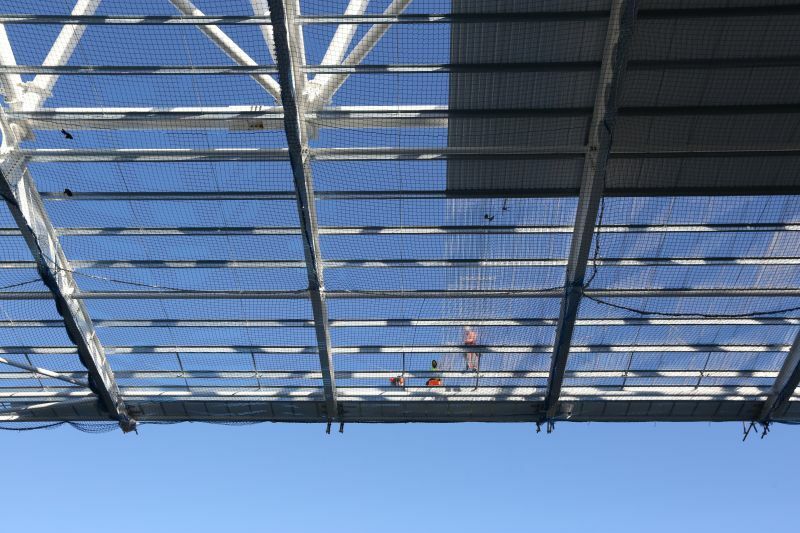 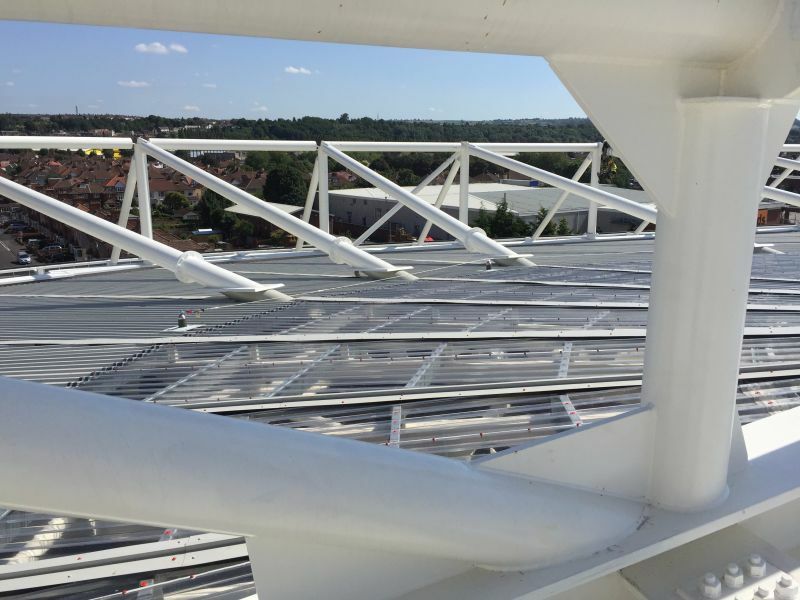 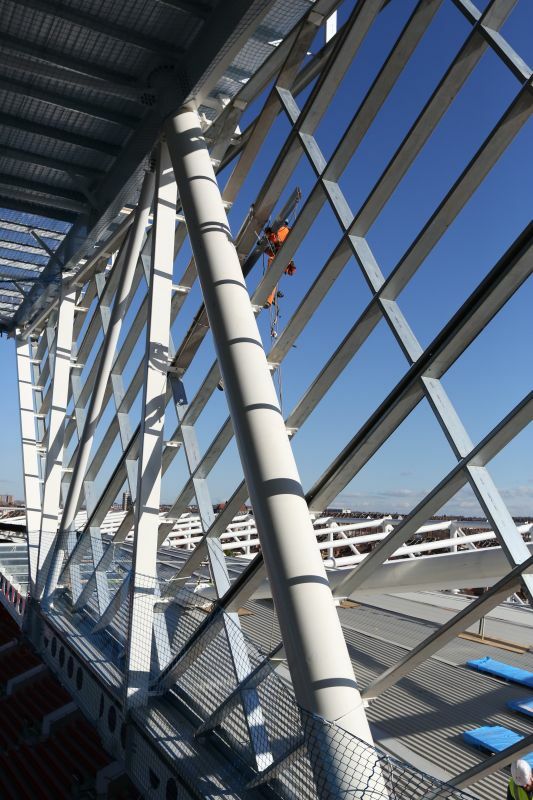 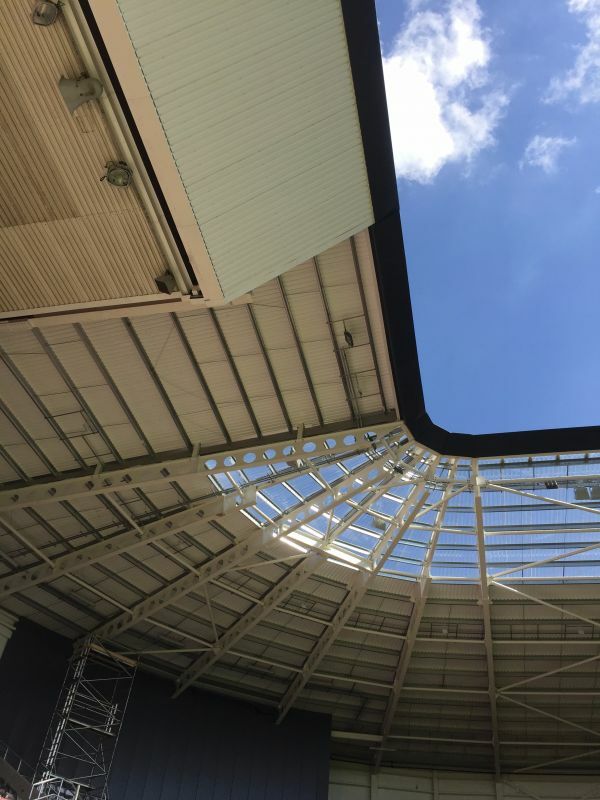 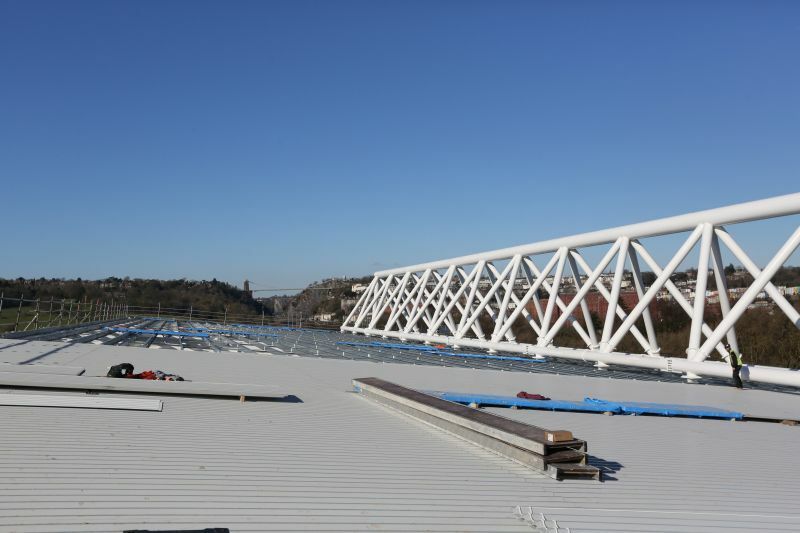 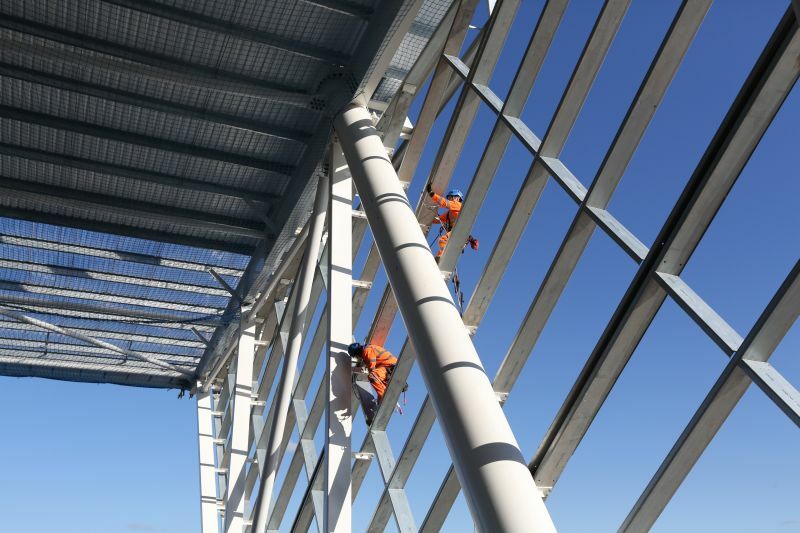 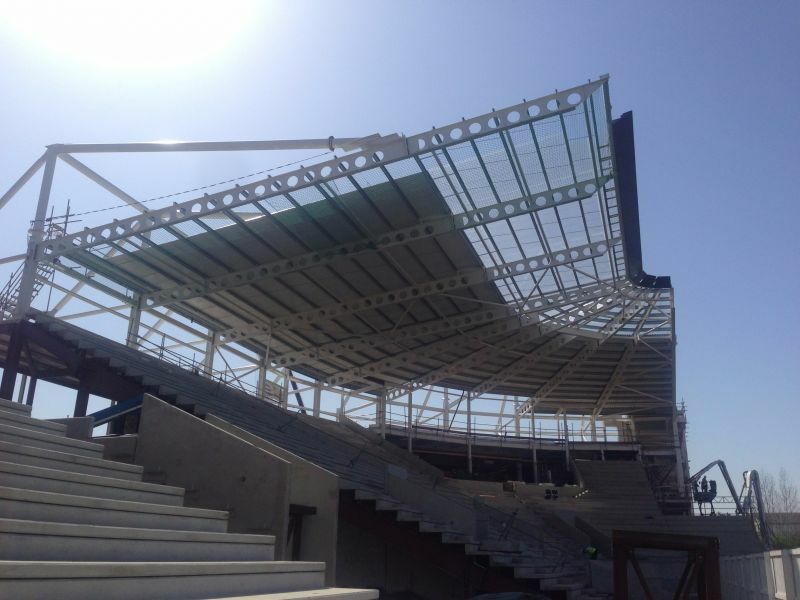 Massey Cladding Solutions were employed to clad the walls and roof of the new stand. 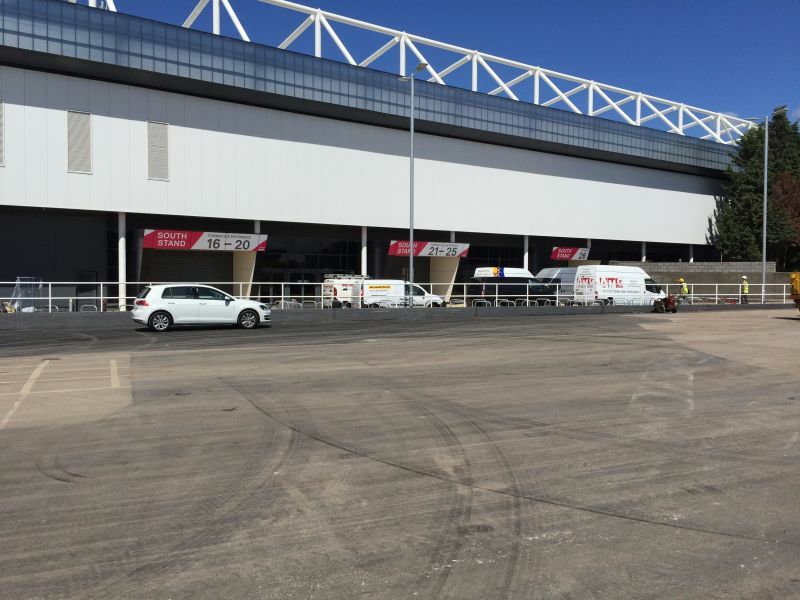 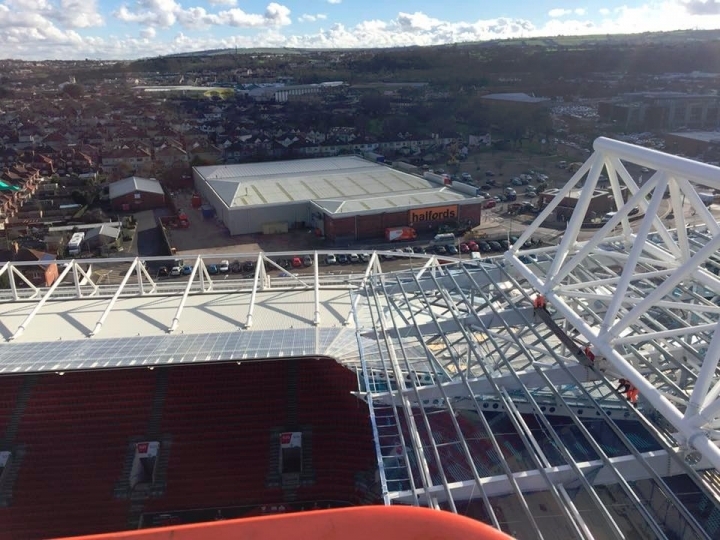 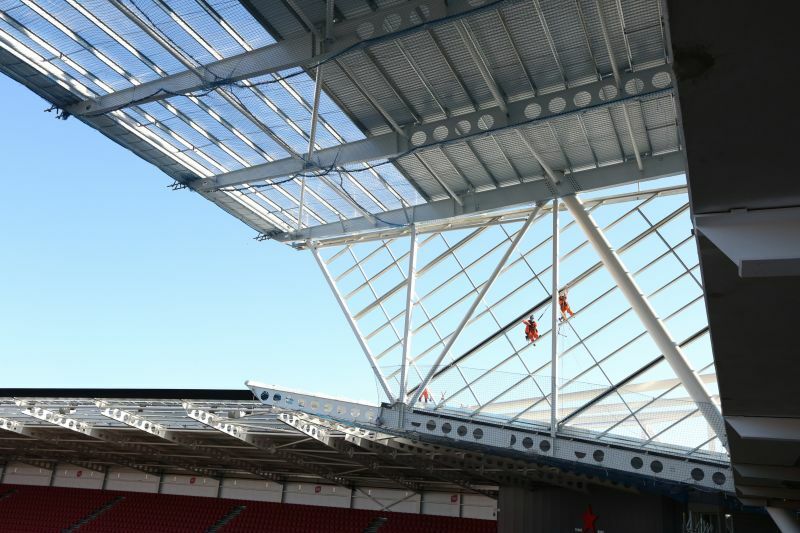 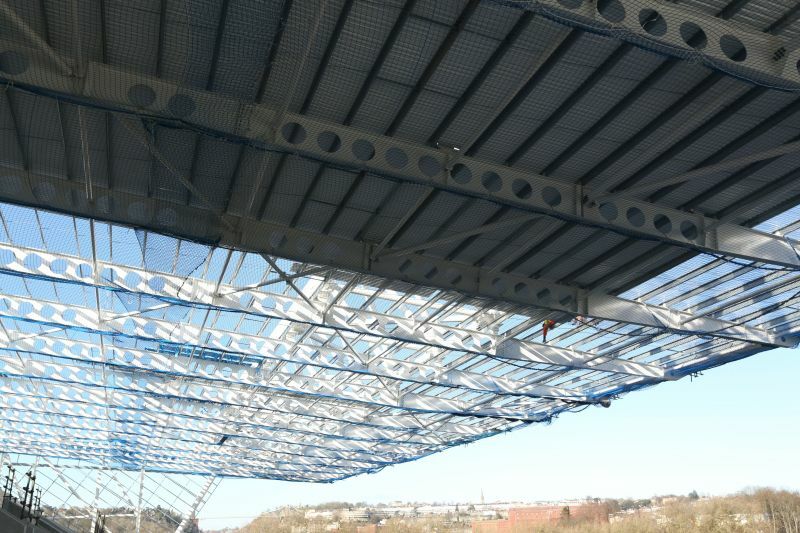 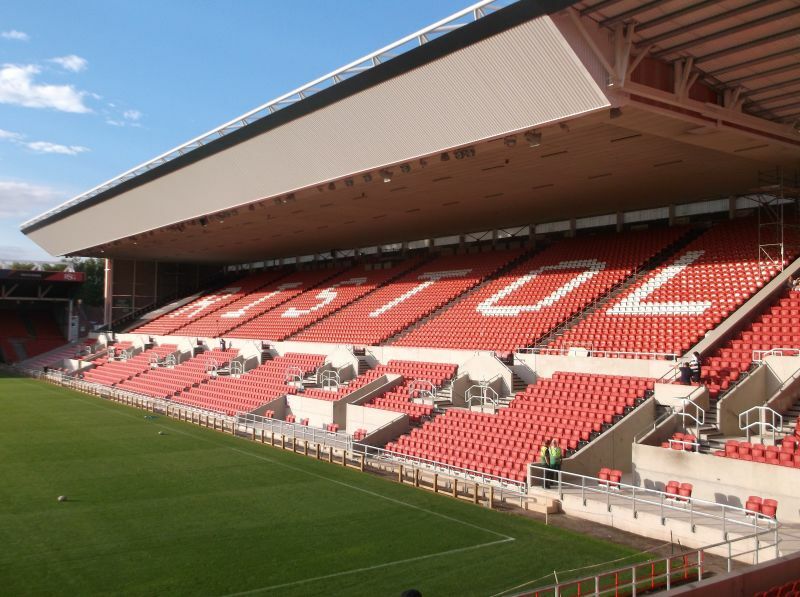 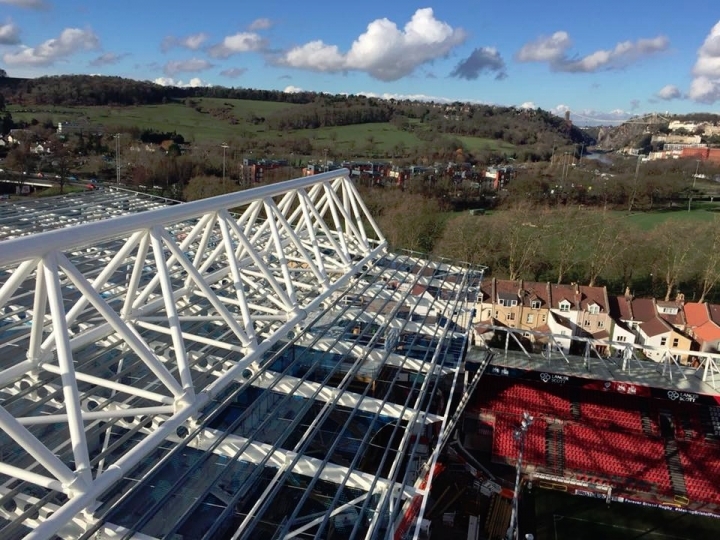 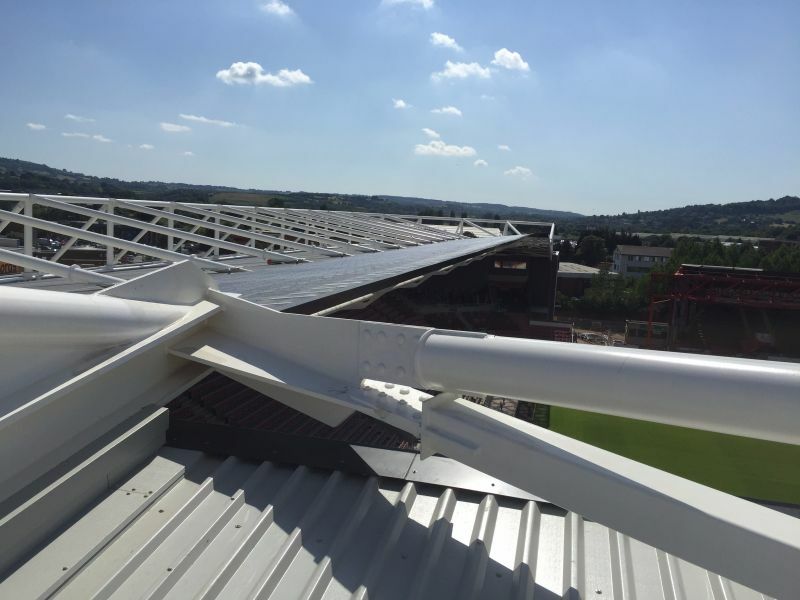 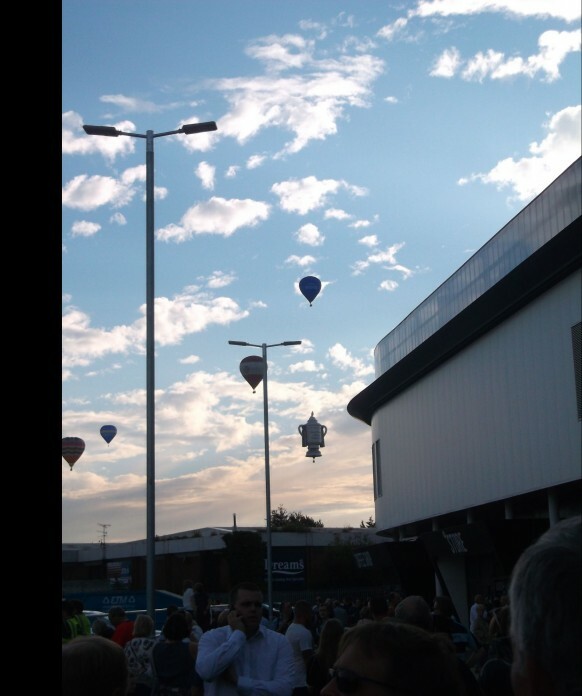 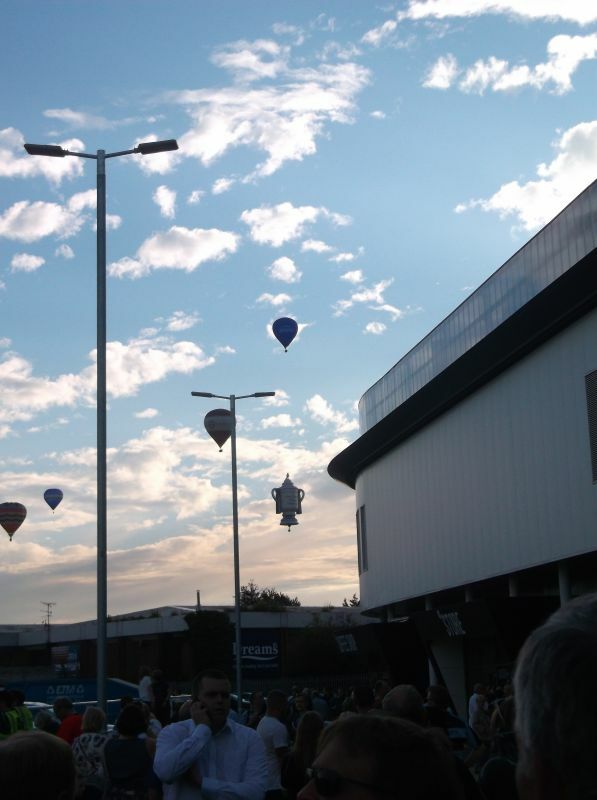 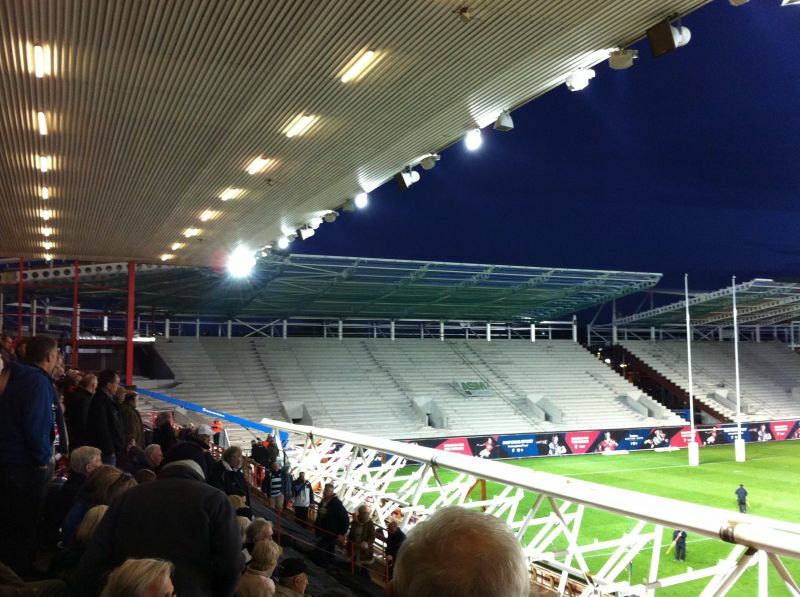 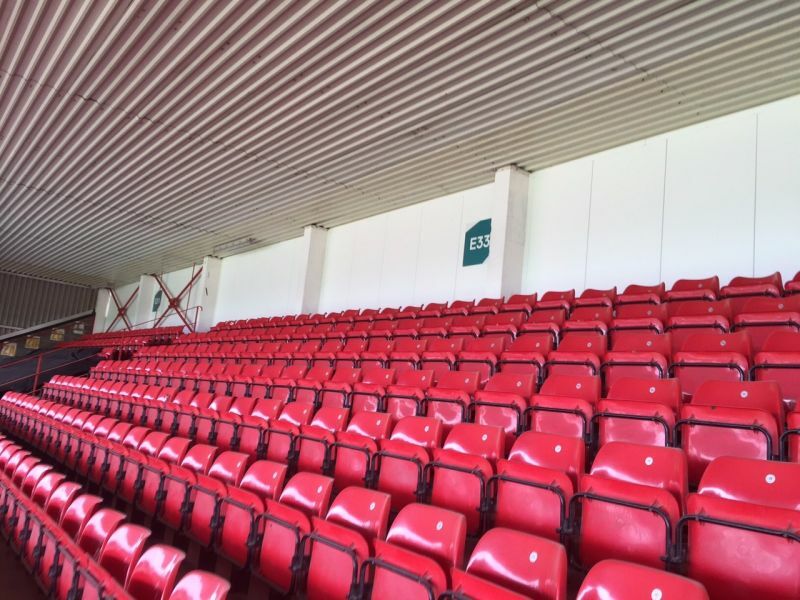 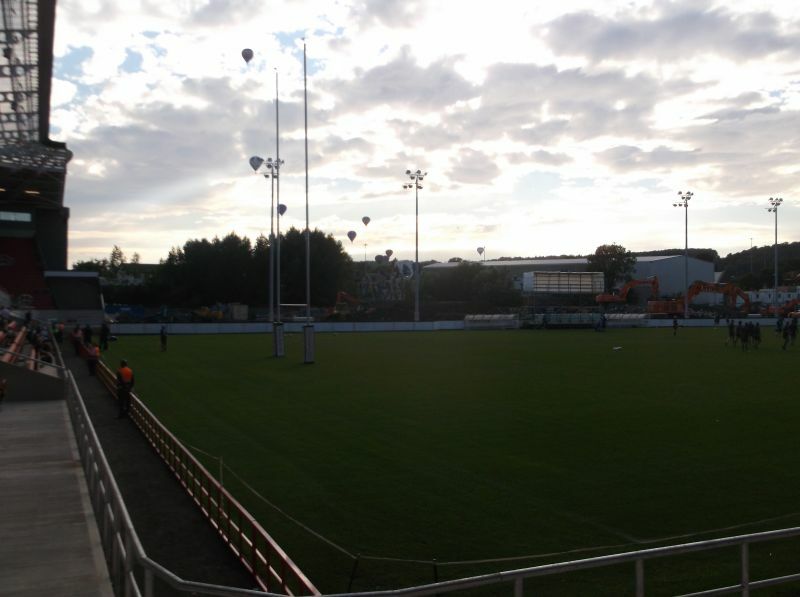 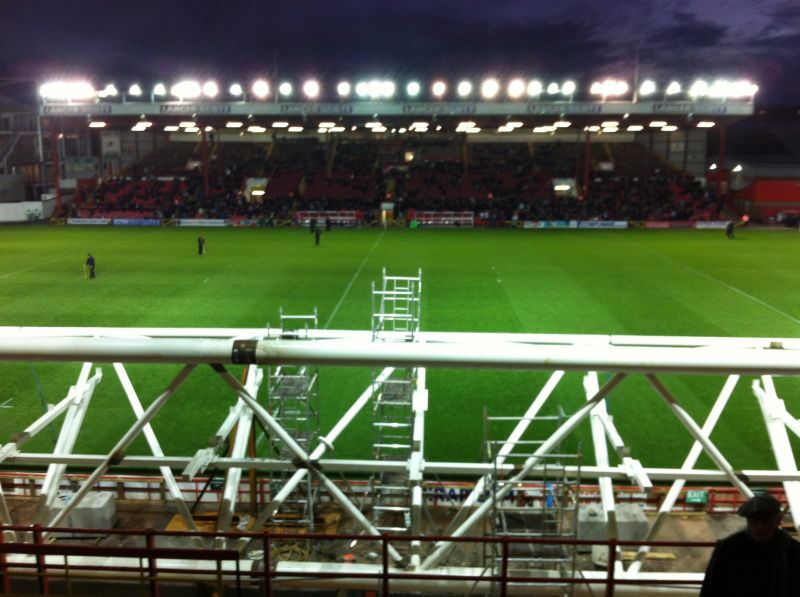 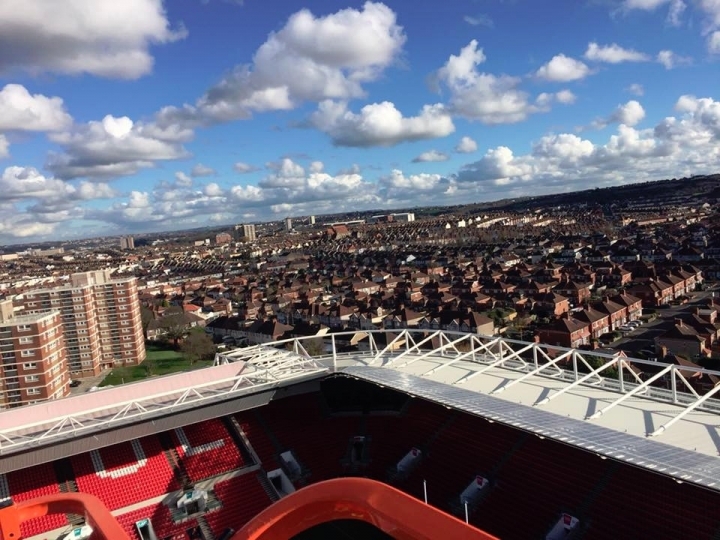 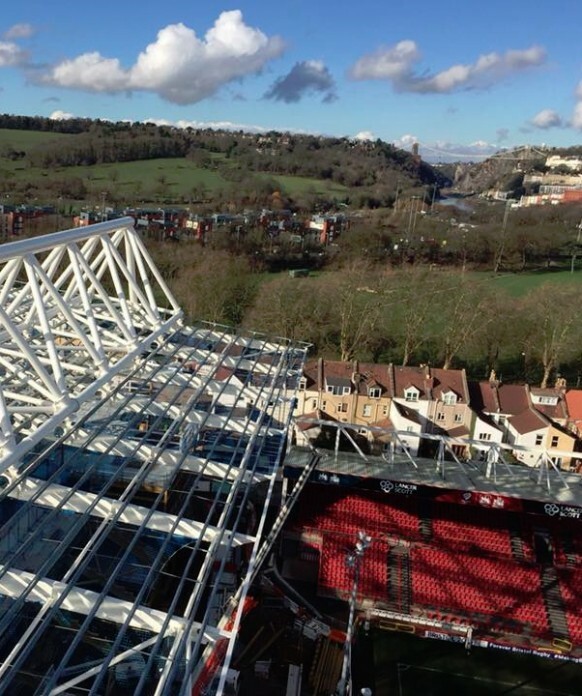 Phase 2 consisted of the refurbishment and extension of the Dolman stand. 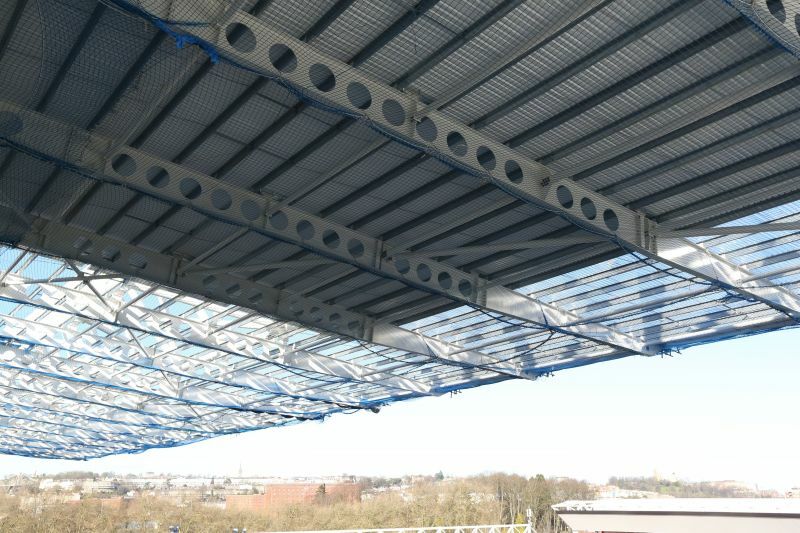 Again Massey Cladding Solutions installed the roof and walls of the stand. 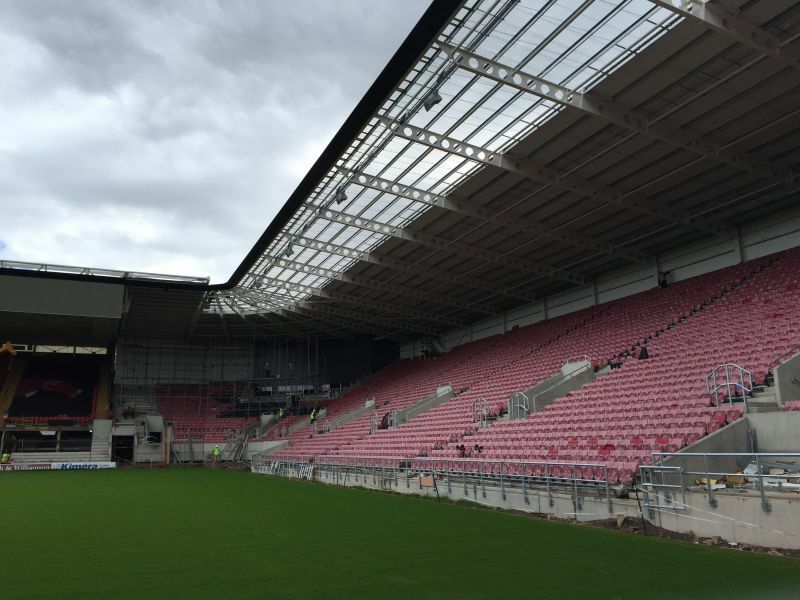 Finally Phase 3 is the demolition and reconstruction of the Williams stand. 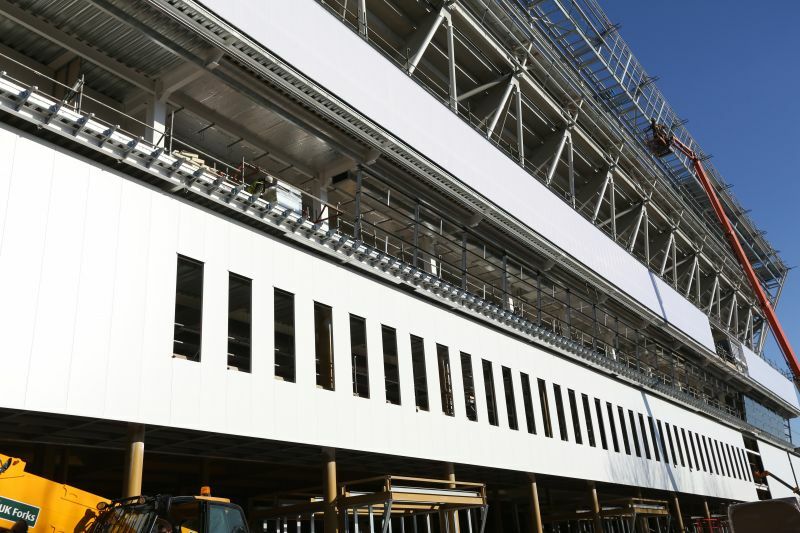 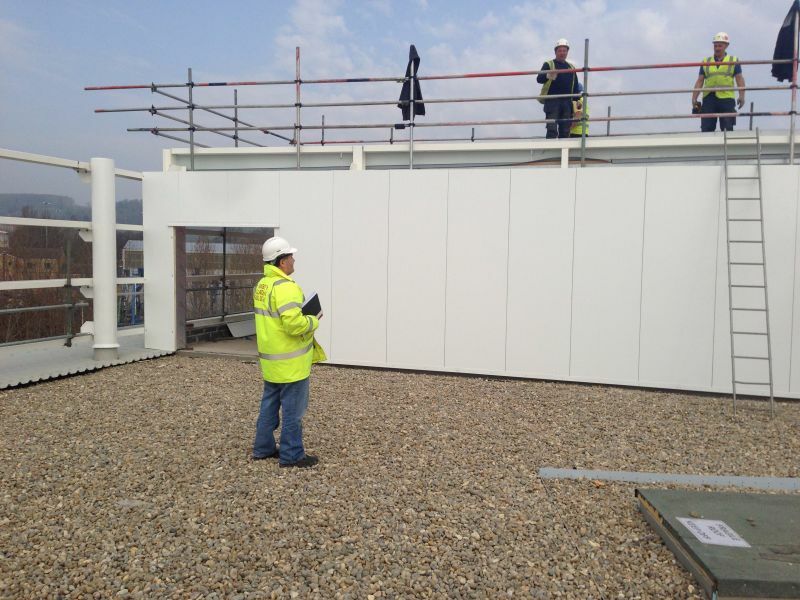 The cladding works on this phase are due to start early 2016.